The recipe for a quality Irish pub is hard to define. Sure, it probably involves a pint of well-poured Guinness, but other elements are tougher to pin down: a great Irish stew, friendly banter, some dude in a wool cap playing a bodhran in a corner... While some Irish pubs in Milwaukee certainly boast more authenticity than others, as long as the pub is a good time, we're willing to consider it worthy. You get extra points as an Irish pub if you serve bangers and mash -- and this delicious item is just one standout on a menu that's both extensive and tasty. 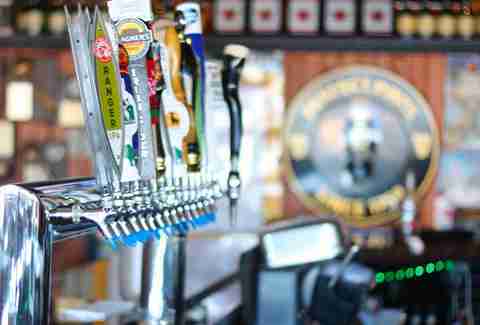 When it comes to washing it all down, the 16 taps include staples like Guinness and Magners, plus some standout craft beer choices. The rustic brick building at 338 South 1st St has a long Irish history. Before it transformed into O'Lydia's five years ago, this space housed the popular Slim McGinn's. This bar is well-suited for sipping libations of all sorts, and its large patio is perfect for outdoor drinking -- especially when the railroad tracks that run by it aren't busy with freight train traffic. BuBs is no cozy pub. It is massive -- 15,000sqft to be precise -- and feels more like a live-music venue than a bar. But BuBs deserves a mention, largely because the Trinity Irish Dancers perform there frequently. This phenomenal Irish dance troupe transforms the space into a serious Celtic experience. 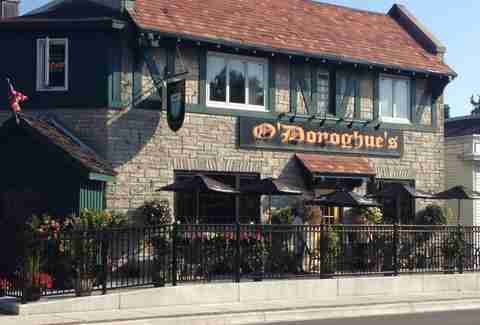 The O'Donoghue family has been in the bar business for quite some time: Friendly owner Jamie O'Donoghue's father Danny opened his first pub in 1969, and the younger O'Donoghue is a savant when it comes to remembering the names of patrons. He engages with everyone in his large, but still homey, bar. If you're up for listening to some fantastic stories, order a Guinness and get O'Donoghue talking. This 140-year-old building comes with a view of the falls in the heart of quaint Downtown and is as welcoming as it gets. 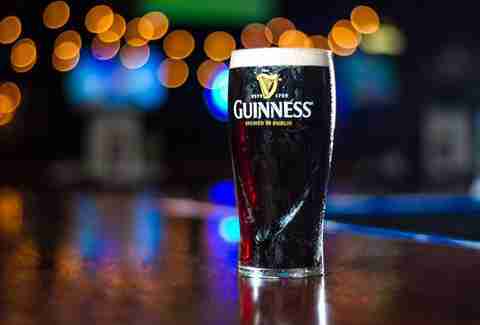 A perfectly poured Guinness and a deliciously meaty Reuben sandwich make the experience complete -- plus, every Thursday at 6pm, the bar has an Irish toast with Guinness or Irish whiskey. Sláinte. It may be roughly 35 miles from Downtown Milwaukee, but The Pub is worth the trip. The owners hail from the north of Ireland, and they offer an Irish whiskey and Scotch list too big to fathom. Suffice it to say, The Pub is no faux-Irish bar -- and no slouch when it comes to food, either. The menu includes staples like shepherd's pie and Irish stew, alongside pricier items like baked salmon and steak. It's a taste of Ireland, Waukesha County-style. Guinness brewmaster Fergal Murray says that the folks here pour the best pint of the black stuff in Wisconsin -- which might mean this tavern is worth a visit. 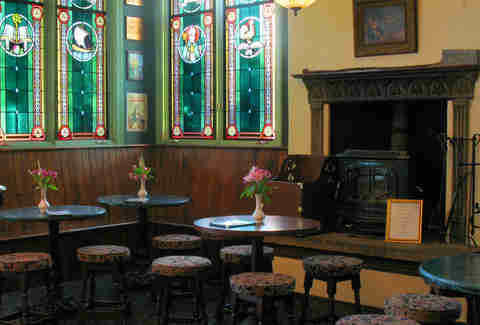 County Clare is a welcoming spot, whether you're at the bar or cozying up at a small table in the Saint's Snug. And if you have a little too much craíc while downing pints, you can always get a nicely appointed room in the inn upstairs. The Irish Pub is all about active Celtic pursuits, and the bar sponsors both hurling and rugby teams. This spot, on the southern edge of Downtown, is also pretty good about more casual activities. Sure, the friendly pub has the Irish beer standards (Guinness, Smithwick's, Harp, and the like), but it also boasts roughly 30 craft beers. Of course, you can't really exist in this hip part of town without a strong beer list. There's something invitingly quaint about historic Downtown Waukesha. House of Guinness fits right in with a façade you might see in any number of small Irish towns. The no-frills interior features plenty of woodwork, a long bar, and a few small wooden tables. Far more important than flashy décor, House of Guinness offers a sizable beer menu and a decent whiskey list. 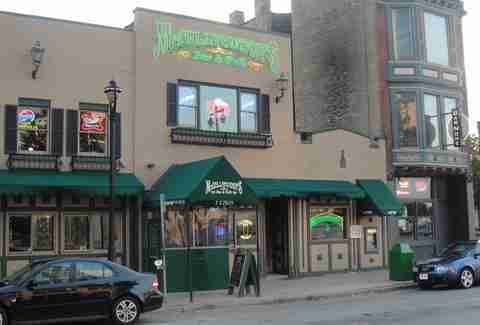 Sister to the sprawling pub in Wauwatosa, the Downtown version of Mo's is big and brash -- but still inviting. Its two-story footprint provides more than a few areas to imbibe, and it's an ideal spot to catch some live music. 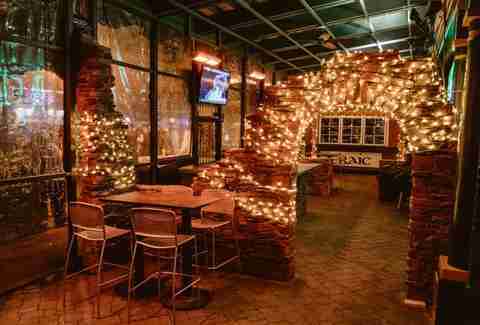 Mo's is a lively bar, the right choice for those who are looking for something a little more rowdy and fun than cozy and quiet. If you enter this East Side institution, you may have a hard time leaving -- due partly to the fact that it's a damn good time, and partly because the interior is a dark labyrinth that's nearly impossible to navigate after a couple of Harps. There are worse things than being stuck in a friendly bar just a Blarney Stone's throw from the madness of busy North Ave, however. Chunks of delectable corned beef brisket draw in hungry patrons from every neighborhood in Milwaukee. Oddly enough, McBob's is also known for pretty amazing tacos (if for some reason corned beef isn't your thing). The bar is a friendly neighborhood tap that draws a diverse crowd looking to raise a pint and consume salted, cured meat. Sure, McGillycuddy's resides in an oft-maligned bar area known more for free-flowing Fireball shots than good taste. But this tavern earns street cred for being one of the elder statesmen of Water St. McGillycuddy's has been pouring beers and shots for nearly 25 years. The two-story bar can house plenty of revelers -- and offers a spacious beer garden that is one of the best in Milwaukee. The patio also features the Gilly Stone, a boulder that grants good luck to those brave enough to kiss it. 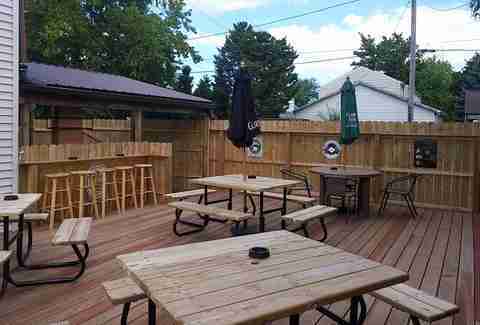 Play word association with any Milwaukee barfly and "The Harp" will almost always be answered with "outdoor deck." This delightfully prominent feature, overlooking the Milwaukee River, has been drawing drinkers since long before drinking outside was as fashionable as it is now. On any day the weather cooperates, the large wooden deck is one of the best places in town to knock back a pint or three. This massive drinking complex is actually made up of three bars -- the lively Foy's, the more intimate library setting of Duffy's, and Gallagher's, a large space between the two. A short stumble from boisterous Water St, the scene can be a wee bit over the top -- a great place to head if you're looking for things to get a bit out of hand. An essential component of any self-respecting Irish pub is a friendly atmosphere -- céad míle fáilte and all that. Champion’s has that part down pat: This welcoming corner tavern, tucked off the beaten path of bustling North Ave, is usually populated by a hardy cast of professional drinkers. 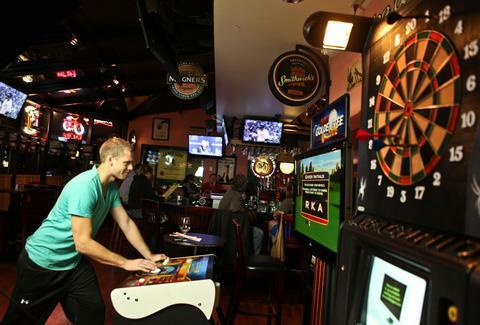 Combine the good crowd with a solid beer list and a shuffleboard table, and you've got the ideal pub experience. There was a certain divey charm to this place when it was Packy's Pub. Then Bar Rescue came in, made some cosmetic changes, and suggested a name change. We're not sure if this really constitutes progress, but the spruced-up space has retained the charm of a neighborhood bar. Campbell's serves a nicely poured pint of Guinness, plenty of whiskey, and a proper Irish breakfast on Sundays. Owner Packy Campbell is a native of Dublin who brought some of Ireland with him to the South Side. This place is really a sports bar and music venue with a dash of pub sprinkled in, but it's worth noting in part for the Reuben quesadilla, a bizarre yet delicious concoction made with corned beef, sauerkraut, Swiss cheese, and Thousand Island dressing. This bright-green spot on Highway 100 brings a bit of craic to the neighborhood. O'Brien's gets props for labeling itself an "Irish-American" pub -- that's truth in advertising. 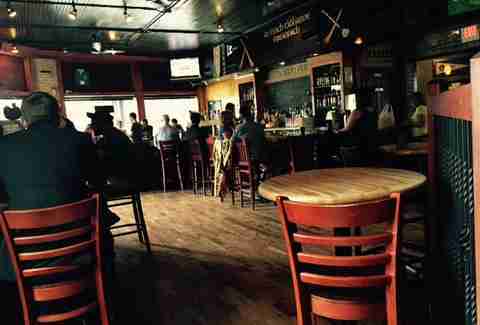 The tavern is big, but the ample woodwork, stone fireplace, and small front bar make it feel cozy anyway. This friendly spot serves up plenty of hospitality any time of the year, but it's best during baseball season -- and the free shuttle to and from Miller Park is a great way to travel.